We’re in the final stages of testing the new Dr. Syntax site, due to launch in July 2013. 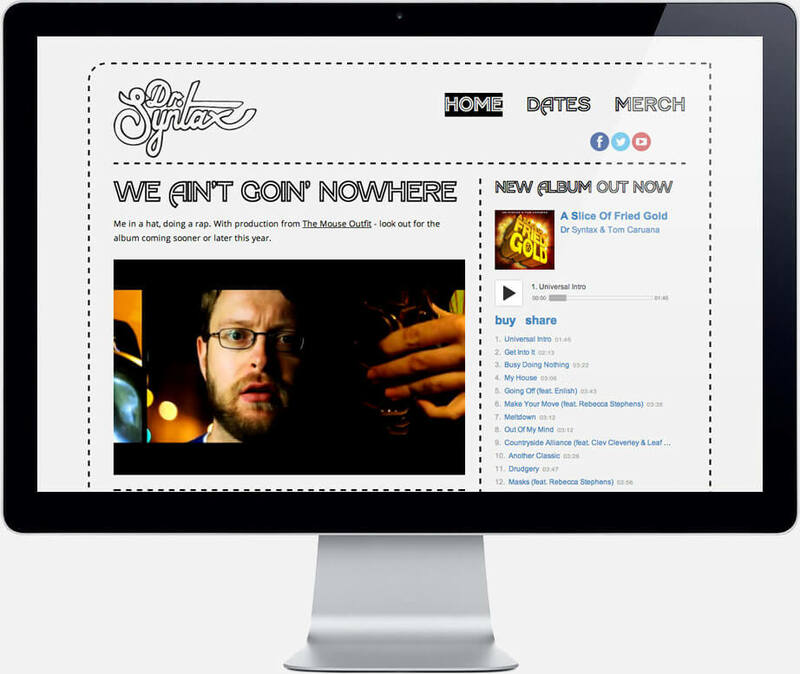 Update: The Dr. Syntax website is now live! Fully responsive, content managed and executed with a strictly minimal aesthetic that fits with the Doc’s rap style, this is to be the home of all news from one of the most underrated talents in UK hip hop. Feedback from Dr. Syntax, aka Benny Huge (Ben Hughes in real life) and his cohorts has been *hugely* positive. Be sure to check it out!